Anti-fatigue sleeping mask renewed radiance with superfruit extracts. 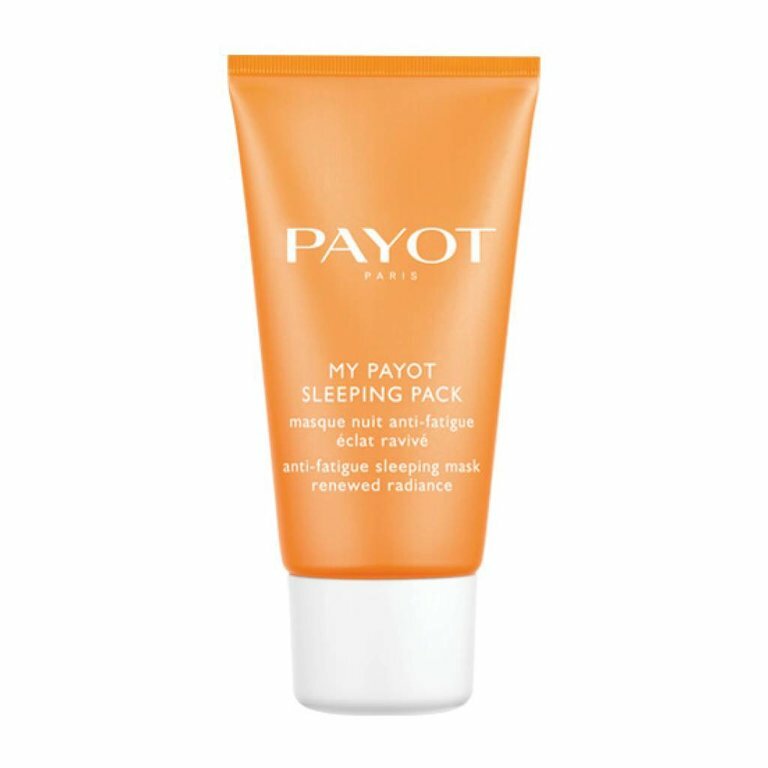 The new generation night skincare My Payot Sleeping Pack will revolutionize your skincare routine. Because it acts while you sleep, when your skin is most receptive to the benefits of skincare, this sleeping pack releases its active ingredients continuously, with its patch-effect texture that keeps them in place. Containing energizing superfruits, plumping hyaluronic acid and invigorating silk tree extract, it erases visible signs of fatigue, allows the skin to recover better during the night, revives radiance and visibly improves skin quality. Radiance day care with superfruit extracts. Radiance eye care with superfruit extracts.